New 2019 Honda Civic LX Sedan with automatic CVT transmission (STOCK# HW12129, MSRP $21,145) $62/MO LEASE OFFER: 27 months, $4376 total due at signing (includes $3499 down payment, first monthly payment, doc & title prep, bank acq fee). $172/MO LEASE OFFER: 36 months, $987 total due at signing (includes $0 down payment, first monthly payment, doc & title prep, bank acq fee). ALL OFFERS: Sales tax, title and registration fees additional. 12K miles per year, $0.35 per mile excess and require bank-approved credit. Security deposit waived. Offers only available on in-stock vehicles. Pictures are for illustration purposes only. Must finance/lease through Honda Finance. Excludes prior sales. See dealer for details. Actual down payment may vary. Offers end 4/30/2019. Wow. Just wow. Customer service here was impeccable. I work in the people business and you can't get much better than the folks you have here! Andrew was very attentive and answered all of my questions that i had. Definitely recommend this location for all of your car buying needs! Great experience with Ben. Helped me find the perfect Honda Fit for me! At Balise Honda of West Warwick in Rhode Island, we pride ourselves on offering drivers from Coventry, Cranston, Johnston and Providence the newest Honda vehicles and exceptional customer service. In fact, our goal is to make the overall buying experience memorable – whether you’re looking for a new or used car – so you will stick with us at our auto dealership for years to come. For all things Honda-related, we encourage you to visit our greater Providence Honda dealership for the best in expertise, excellence, and integrity. 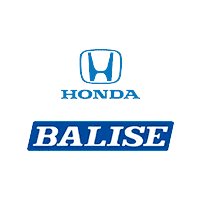 We at Balise Honda of West Warwick are fully dedicated to our customers, and we genuinely look forward to helping our customers find the best vehicle to suit their daily needs. As a leading Honda dealer in RI, we strive to make our dealership as customer-friendly as possible, with a variety of amenities and services so our dealership can be your one-stop-shop for all things Honda. Our dealership has 40+ years of experience in our community, and if you are interested in what we can do for you, read on!